As so many of you know, I enjoy history. I am, after all, considered a part of it (although it’s a little disconcerting, I must admit, to read about oneself in the past tense). Lately I’ve been reading a great work of history, President John F. Kennedy’s Profiles in Courage. There’s a lesson to be learned from it. 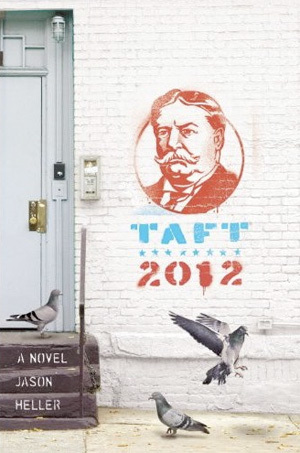 Of course, I was originally attracted to the book because it features my son, Senator Robert Taft, and his political accomplishments that I wasn’t around to see (due to my hundred-year, ahem, hiatus). But as I read more deeply about the heroism of the senators Kennedy wrote about—many of whom were alive in my own time—it dawned on me how little of that heroism can be seen today in the political arena. As many of you know, I enjoy food. But I am trying to eat more sensibly. 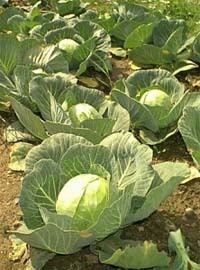 One sensible food I cannot stomach, however, is cabbage. It is an insipid vegetable, shapeless when cooked, with a strong odor yet little taste. Today, we have no profiles in courage. We have only profiles in cabbage. For proof, look no further than the current crop of presidential contenders. We have hypocrites like Gingrich. Dilettantes like Cain. Imbeciles like Perry. And then we have the supposed Republican frontrunner, Mitt Romney. Profiles in Courage exalts the bravery and integrity of men like Daniel Webster and Sam Houston. I don’t always agree with the actions they took while in office. But they risked all for the sake of their convictions. Romney has no such bravery, no such integrity, no such conviction. This man who would be nominee—who would be president!—has wavered on the issues with an alarming regularity. In fact, you could set your watch by his waffling. Men like Kennedy, and those he wrote of in Profiles of Courage, regardless of affiliation, stood firm in the face of adversity. They had that titular courage. Romney’s convictions and character, on the other hand, seem to blow like leaves in the wind. Leaves of cabbage, that is.